Dr.Anil - Marketing Musings: 275,000 readers done and dusted - 300,000 here we come! 275,000 readers done and dusted - 300,000 here we come! 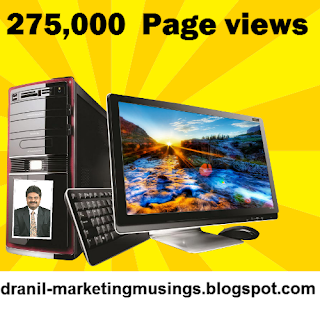 2,75,000 page views done - 3,00,000 views here we come. Thank you readers, keep them coming! Me and my blog - a dialogue with myself.